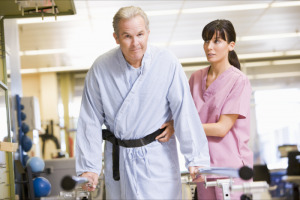 At Allcare & Allied Health Services LLC, we know how difficult and overwhelming it is to care for your loved one in the hospital or is recuperating at your home – most especially when they need constant observation and care. That is why our trustworthy professional and compassionate caregivers are available to sit with you or your loved one in a medical facility or personal residence for as long as necessary. Our Sitter Services are available anywhere from a few hours to 24-hours a day. At Allcare & Allied Health Services LLC, we realize that care does not always end when a patient leaves a hospital or medical facility. Should the need arise, our caregivers are available to transfer care to the comfort of the patient’s home. Our Sitter Services are also available when a family caregiver is unable or unavailable to assist with their loved one’s needs. Contact us today to learn more about our Sitter Services. You can reach us by calling 610-461-2071 or 267-699-8542.